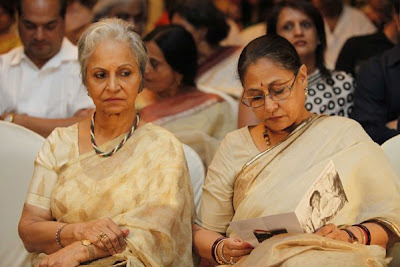 Bollywood actress Jaya Bachchan in beautiful cream designer embellished saree at Swades Foundation Event. 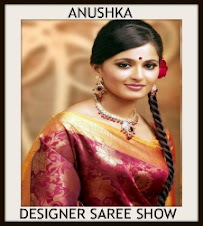 Embellished applique patch work designs all over saree and yellow simple border. 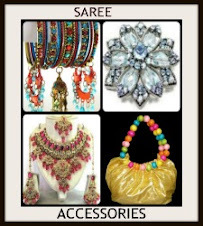 Paired with designer quarter sleeves saree blouse. Bollywood actress Jaya Bachchan in beautiful yellow designer silk saree at Rehana Ghai’s Birthday Bash. Gold brocade work all over saree. Pink embellished applique patch work around the gold border. 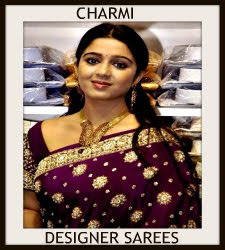 Paired with yellow designer quarter sleeves saree blouse with round neck pattern. 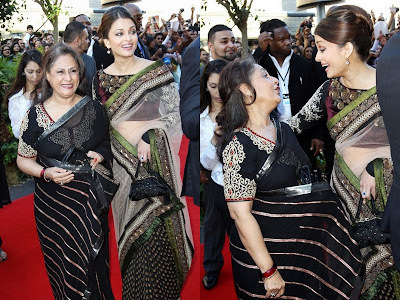 Bollywood actress Jaya Bachchan in maroon designer silk sari with cream border. Embroidered sequins buttes through out border. 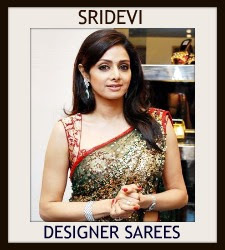 Paired with designer quarter sleeves saree blouse with ‘V’ shape neck pattern. 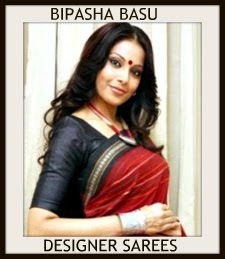 Bollywood actress Jaya Bachchan in beautiful red designer traditional silk saree. Self printed work on it and grey lace work border. 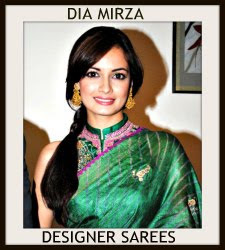 It is paired with red designer quarter sleeves saree blouse with ‘V’ shape neck pattern. 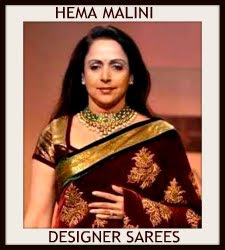 Bollywood actress Jaya Bachchan in beautiful black designer traditional silk saree. 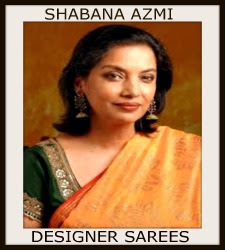 Gold horizontal and vertical stripes all over saree and red border. Gold zari work across the border. 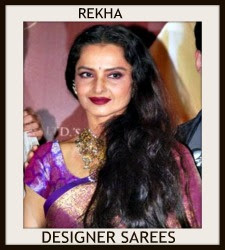 It is paired with red short sleeves saree blouse at Screen Awards 2013. 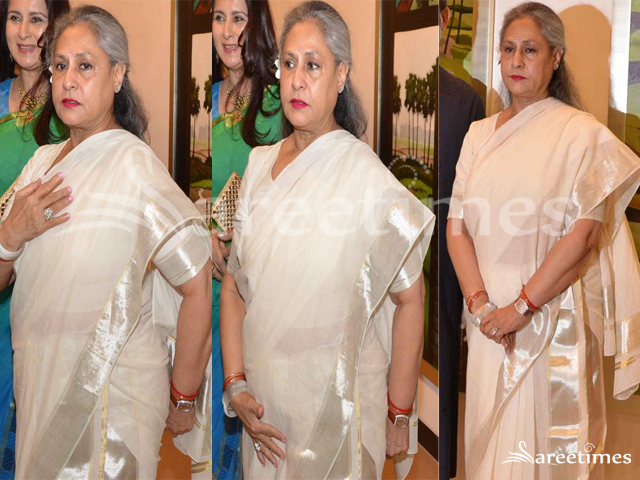 Bollywood actress Jaya Bachchan in beautiful cream designer plain traditional silk saree. Gold zari work across the green border,followed by pink plain border.Paired with green traditional quarter sleeves saree blouse at Shaad Wedding. 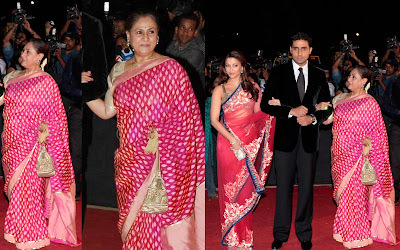 Bollywood actress Jaya Bachchan in beautiful pink designer shimmer faux half and half saree with gold thread and silver lace border paired with designer quarter sleeves saree blouse at Jab Tak Hain Jaan Premiere. 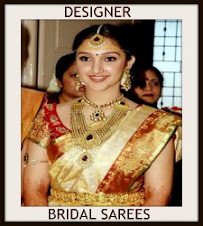 Bollywood actress Dimple Kapadia in beautiful cream designer embroidery saree with border work from designer Abu-Sandeep. 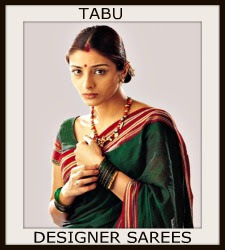 Bollywood actresses Jaya Bachchan and Shweta Nanda in Abu- Sandeep saree on the Cover of Hello(January 2012). Bollywood actress Jaya Bachchan in cream designer cotton saree with printed gold, zari woven and border work paired with designer short sleeves saree blouse. Bollywood actress Jaya Bachchan in white traditional sari with zari border paired with short sleeves saree blouse at Khelein Hum Jee Jaan Se Premiere. Bollywood actress Jaya Bachchan in white cotton sari paired with contrast red sari blouse at ‘Khelein Hum Jee Jaan Se‘ Music Launch. 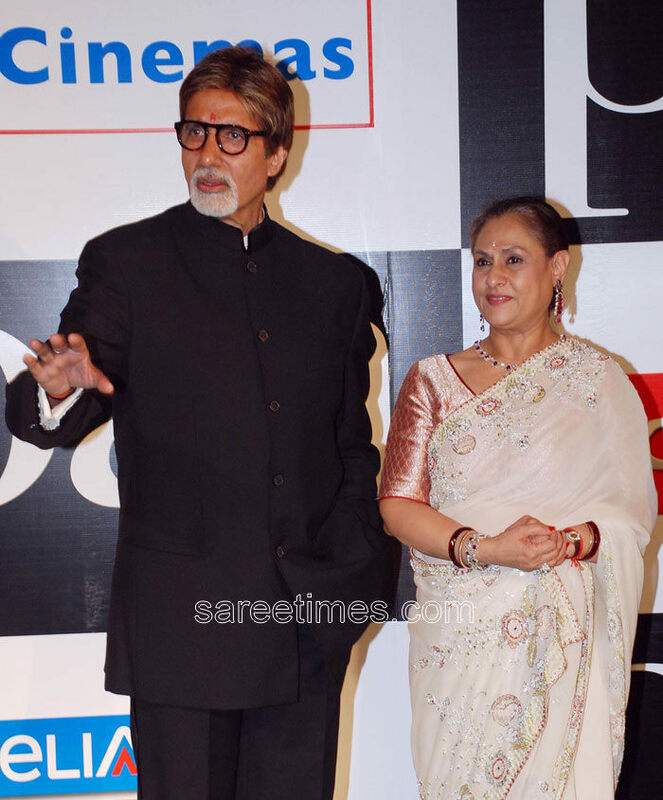 Bollywood actress Jaya Bachchan in light colour embellished saree paired with banaras saree blouse. Bollywood actresses Aishwaryra Rai and Jaya Bachchan in designer saree at Raavan Premiere at London. 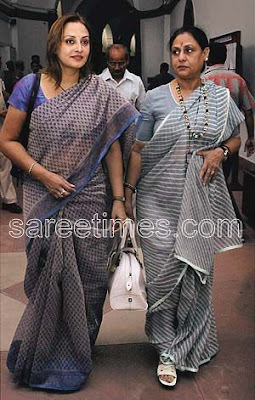 Check out bollywood actresses Jaya Bachchan and Jaya Pradha in cotton sarees. Check out Jaya Bachchan in beautiful pink saree at 16th Annual Star Screen Awards 2010 . 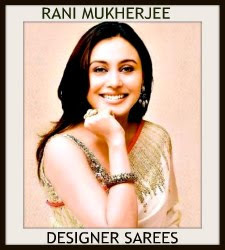 Check out bollywood actress Wahida Rahman and Jaya Bachan in Sarees.